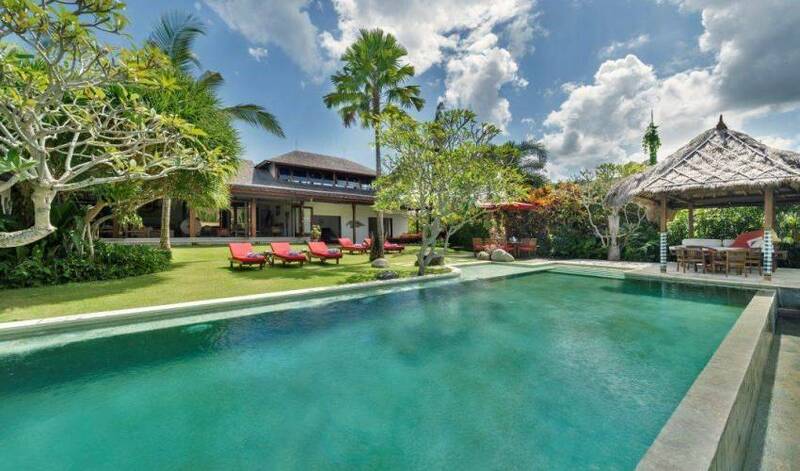 The villa is a 5 bedroom luxury villa with spacious gardens, 800m from Bali's Pererenan Beach. 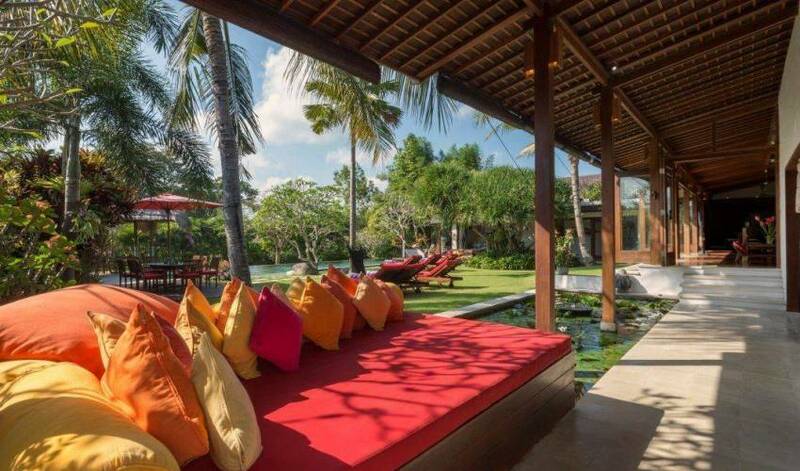 The villa is a perfect wedding venue that can also host corporate events & retreats. 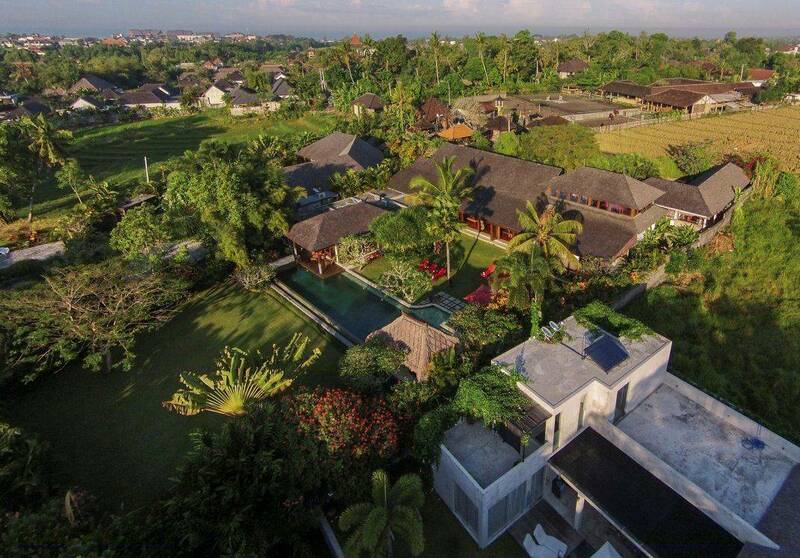 The villa is situated within a beautiful 2,800m2 lush, tropical estate by the riverside and rice fields. 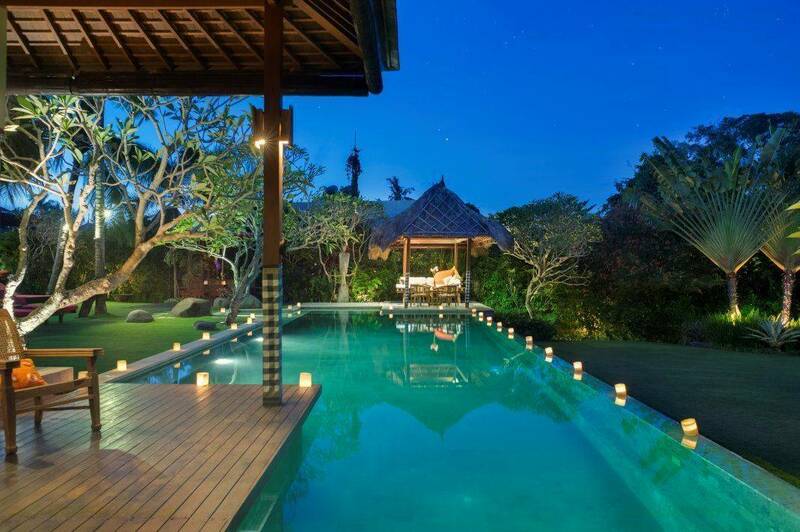 The luxury villa is composed of two different buildings offering total privacy and tranquility. 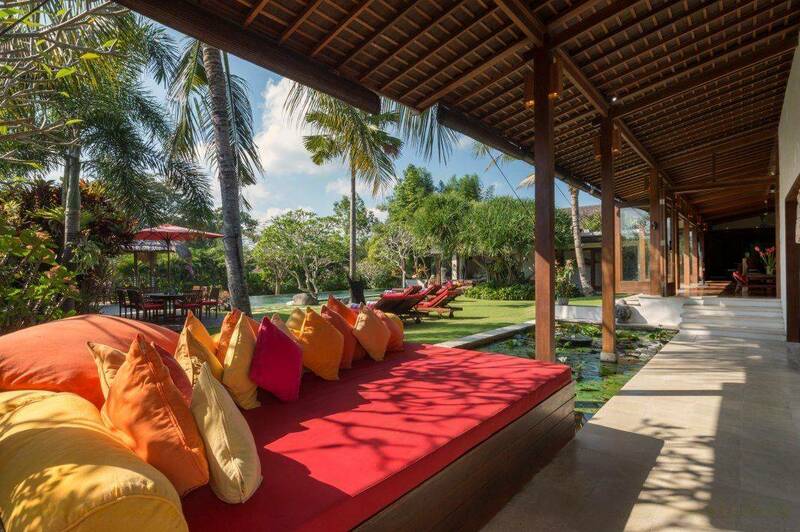 It is a perfect rental villa for families and small groups of discerning people who want to experience the best Bali can offer. 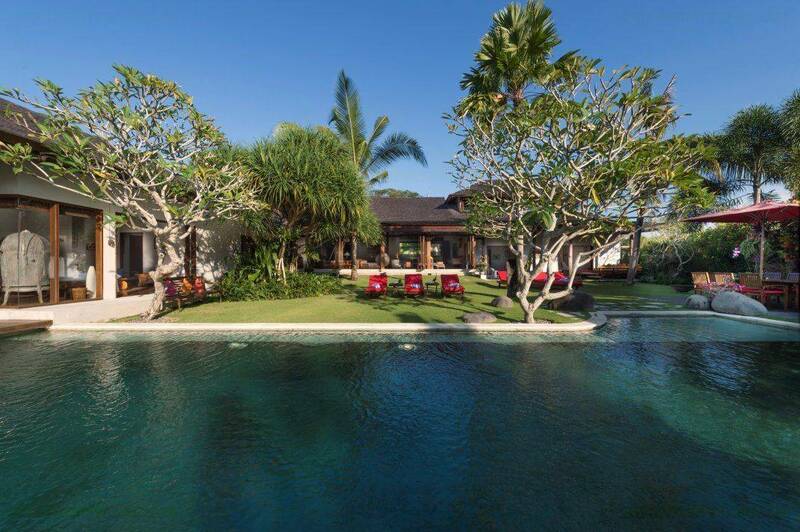 Set in the midst of a splendid terraced rice field and alongside of a peaceful small river, private vacation the villa is a brilliant revelation of magnificent luxury, 40 minutes drive from Ngurah Rai International Airport, 20 minutes from Seminyak famous shopping and entertainment area and 15 minutes from Bali Nirwana, one of the best Golf courses in Southeast Asia. 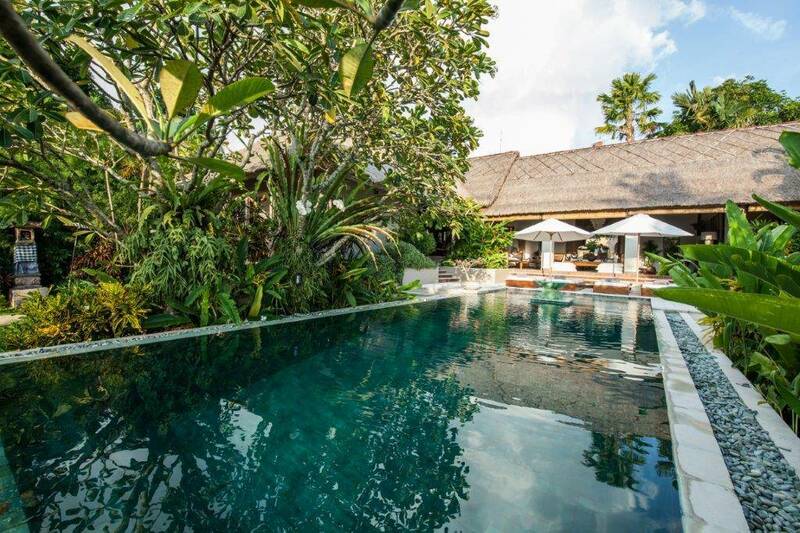 The exotic charm of this tranquil haven is further enhanced by the gracefully landscaped grounds holding a large swimming pool and lotus ponds. 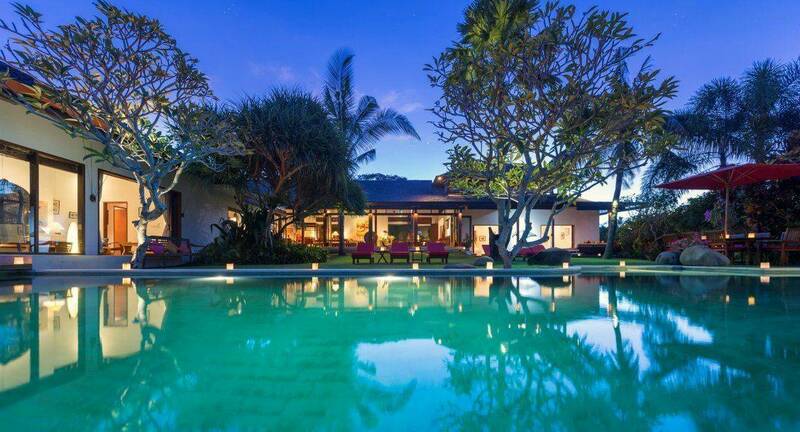 A compulsive attention to the details is obvious throughout the grounds and interiors. 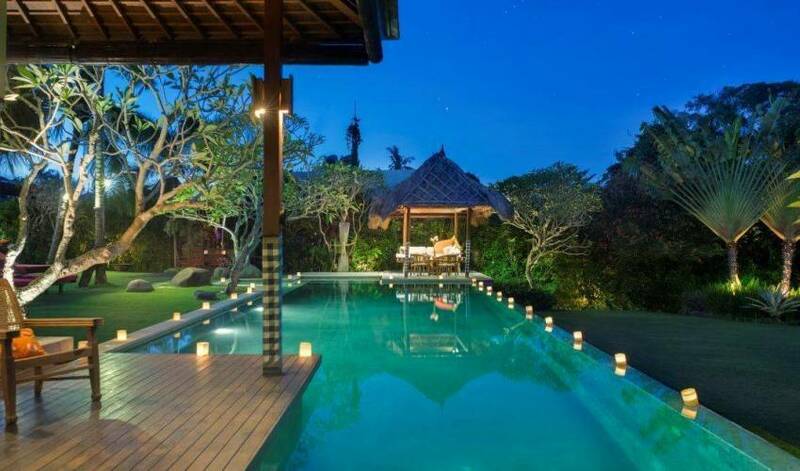 The furnishings and decorations are the culmination of years of collecting traditional cultures by the owner. Indonesian antiques, traditional stone carvings, flamboyant woodcarvings, are just some of the ornamental elements on display throughout the buildings. 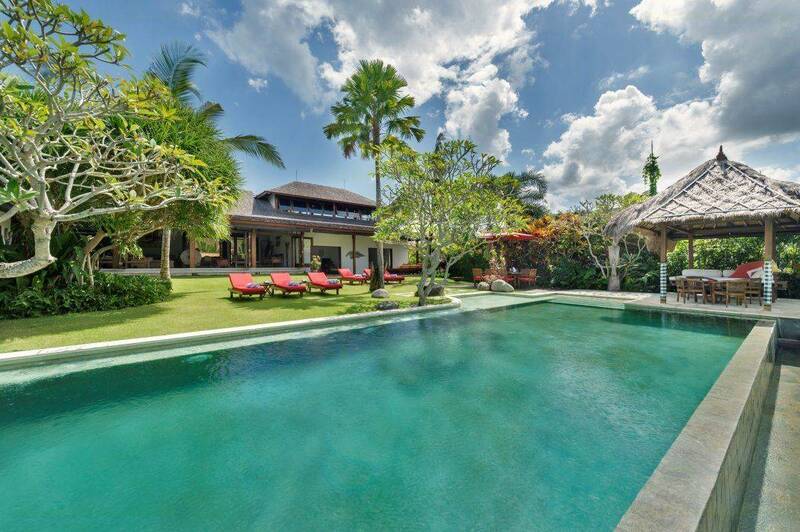 Completed in early 2007, the architecture of this villa succeeds in creating an ambience of lavish grandeur, while representing a sensitive appreciation of local culture. 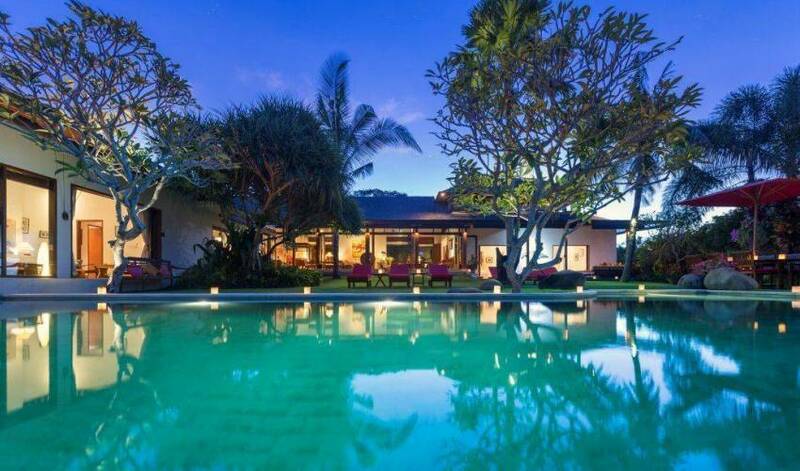 The Main House consists of three air-conditioned bedrooms completed with en-suite bathrooms; a large dining area over viewing the swimming pool and garden; a warm welcoming spacious living area; air-conditioned TV room; a fully equipped kitchen with small comfortable dining area and pantry room on the other side. A modern design wine cellar between the kitchen and main dining area adds the luxurious feeling of the villa. The leisure of the living room is added by the pool table on the upstairs room. 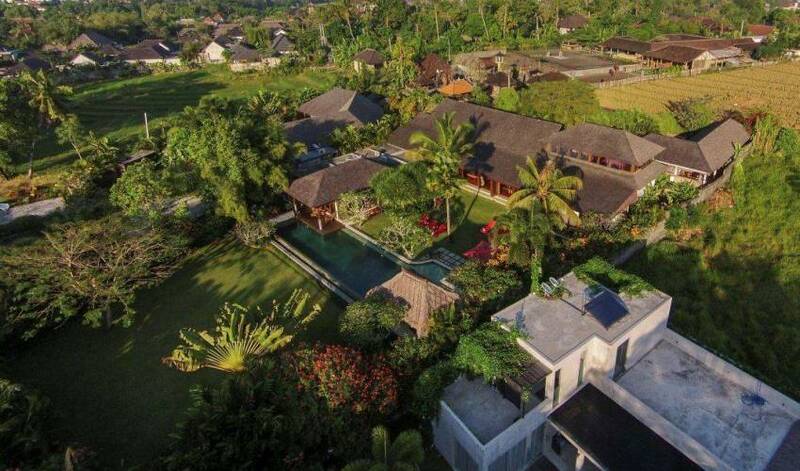 On the other side of a lush garden, lays the second building for the Guest Wing consists of two air-conditioned bedrooms also completed with en-suite bathroom, a living area, kitchen and a plunge pool. 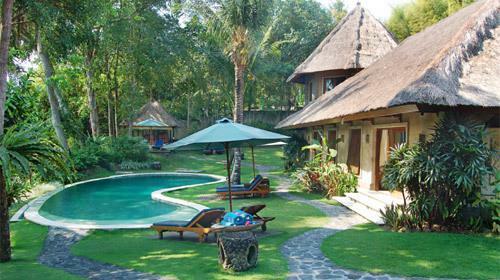 The two buildings are connected with a lush tropical garden which holds a thatched roof bale and a large overflow swimming pool. The two buildings share an enclosed car park which can hold several vehicles. All the modern equipment such as large TV screen, stereo sound system, DVD players as well as wireless high speed internet connection is provided to ensure the necessary international high level of comfort.